Mitchel Weiser and Bonnie Bickwit have been missing for 41 years. 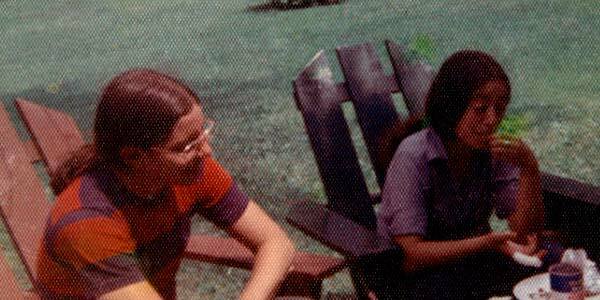 Bonnie Bickwit was working as a mother’s helper at Camp Wel-Met in Narrowsburg, New York when she vanished on July 27, 1973 with her boyfriend, Mitchel Weiser. Mitchel was working as a photographer’s assistant in Brooklyn. Bickwit and Weiser planned to hitchhike to attend a concert festival, Summer Jam featuring The Allman Brothers and the Grateful Dead in Watkins Glen, New York. The concert is believed to have been the largest in history, with over 800,000 people showing up. Weiser met Bickwit at Camp Wel-Met and they set off for the concert, which was 75 miles from Narrowsburg. Neither has been seen since. It is believed that Weiser and Bickwit had approximately $25 between them. They carried backpacks, sleeping bags, and a cardboard sign that read “Watkins Glen.” They were last seen hitchhiking along State Route 97. Authorities initially believed that the couple simply ran off together. Bickwit and Weiser had secretly exchanged wedding rings earlier in the summer of 1973. Both were intelligent teenagers who attended John Dewey High School, a Brooklyn alternative school for gifted, high-achieving students. Bickwit lived in Borough Park with her family when she was not working at Camp Wel-Met; Weiser lived in Midwood. Both Bickwit and Weiser are from stable, middle-class Jewish families. Both Weiser and Bickwit’s loved ones say the two seemed ill at ease before they left for the concert. Bickwit sneaked away from Camp Wel-Met and went home one day the week before she vanished, and took $80 which she had been saving for a bicycle. Her family was not home at the time, but neighbors saw her. She was also having difficulties with the family she was working for. Bickwit asked them for the night off when Weiser showed up on July 27, and quit in anger when they refused. She told her employers that she would come by after the concert to collect her clothes and paycheck. Weiser, meanwhile, was worried that he would not be able to attend the college of his choice. Despite this, however, their loved ones believe Bickwit and Weiser were just having normal adolescent problems and would have never run away from home. Bickwit’s best friend was in Europe the summer she vanished, but she exchanged letters with Bickwit and says their communications were normal. Weiser was looking forward to taking his drivers’ test, which was scheduled for a few weeks after he disappeared. Bickwit and Weiser’s families and friends have never forgotten about the two. Weiser’s family has kept a phone listing in the Brooklyn telephone directory since 1973 in case either of the teens decide to contact them. Years following their disappearances, Weiser’s father accepted a collect call from someone identifying herself as “Bonnie.” By the time the operator was able to connect them, the caller had hung up. She did not call back and has never been identified. In 2000, a witness, Allyn Smith, claimed he saw both Bickwit and Weiser drown while they were on their way back from Watkins Glen. Smith, then 24, said he was also going to the Watkins Glen rock festival and hitched a ride on a Volkswagen bus and two teenagers, whom he identified as Bickwit and Weiser, were also on the bus. He did not know their names but had heard them talking about the girl’s summer camp and recalled their clothing. They all stopped to cool off in a nearby river when Bickwit got into trouble in the water. Weiser jumped in to save her and they were both swept away, still alive. The bus driver told Smith he would call the police at the nearest gas station, but authorities have no record of such a call being made. Police call Smith “credible” but wonder why, as an athletic Navy veteran, he did not try to rescue the drowning teenagers. They are investigating his account, which has not been confirmed. The driver of the bus has not been found and Smith cannot remember the location of the river the teens allegedly drowned in. As a result, his story cannot be fully investigated. Bickwit and Weiser remain missing and their cases are unsolved. Their families have criticized the police for what they call a perfunctory investigation. The original case files have apparently been lost. Included in the files were the only existing copies of Bickwit’s and Weiser’s dental records, which could have been used to identify their bodies. Authorities now admit that they made many mistakes in the investigation. The state attorney general got involved in the investigation in 2000, the twenty-fifth anniversary of the teens’ disappearances. Bickwit and Weiser’s families hoped the additional assistance would help solve the case. It is considered the oldest missing teens case in the United States.